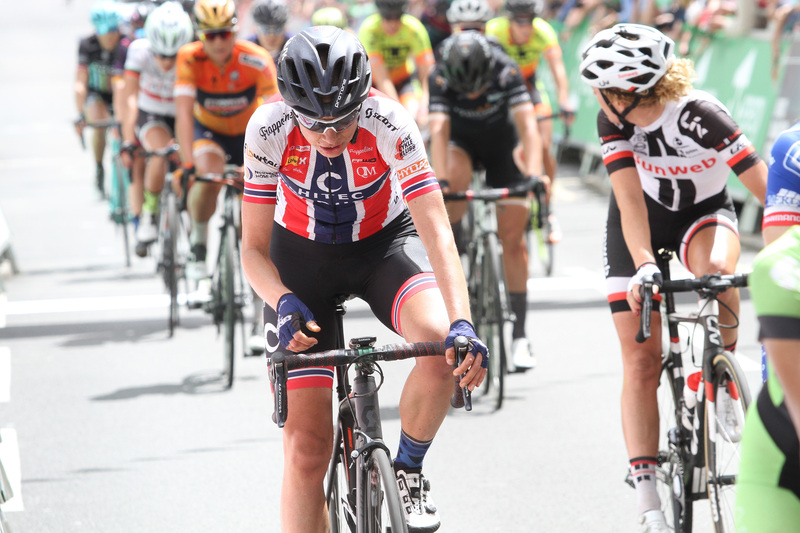 The Womens Tour in England was a fantastic race, with the best possible start list, and loads of spectators all through the 5 stages. The most spectacular stage was the last in London centre, with start and finish at Picadilly Circus. Overall, Vita was our strongest for the week with a 16th place. Emilie was a strong sprinter with 2 x 11th places and a 9th place. The race was won by Kasia Niewadome (WMN3), that incredibly was allowed to ride away on the first day, d never let go of her lead after that.